Adam Mason is a technical SEO specialist and co-founder of Datify, a data driven digital marketing agency in the UK. 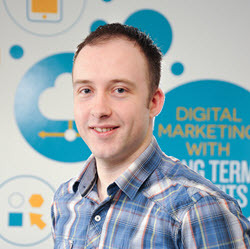 Adam has been in the digital marketing industry for over eight years. Starting in-house, he moved his way over to the agency world, after which he decided to launch Datify to create an agency that puts data in front of every marketing strategy. Adam has spent the past couple of years behind the scenes with the operational and HR aspects of growing a new business, but has always kept time aside to keep his technical SEO head fresh and is now writing about his findings in several places. When Adam isn’t digging around spreadsheets he can be found scaling the peaks, rock climbing and occasionally skiing. He is also a self-proclaimed gaming geek and VR enthusiast.